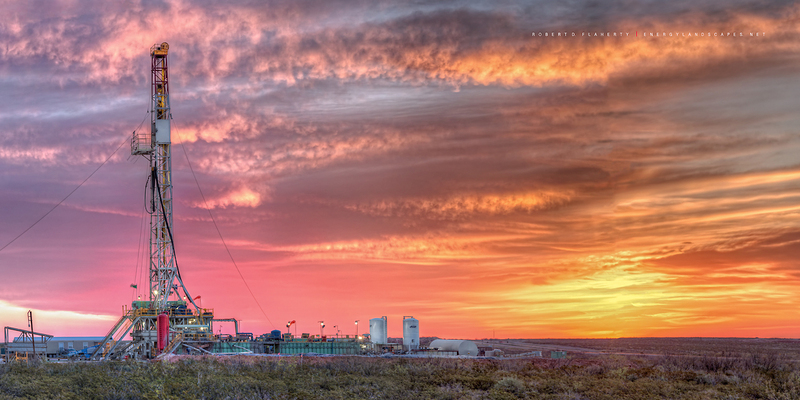 "Best Of Times" features a grand sunrise on Precision Drilling Rig 573 near Barstow Texas. This is a 200 megapixel 2:1 panorama which can be printed literally any size. Fine art canvas prints are available up to 120" and architectural murals up to 60 feet in length. Photo © copyright by Robert D. Flaherty.